"Romance, drama, laughter and heartbreak... created out of the very heart and soil of America!" 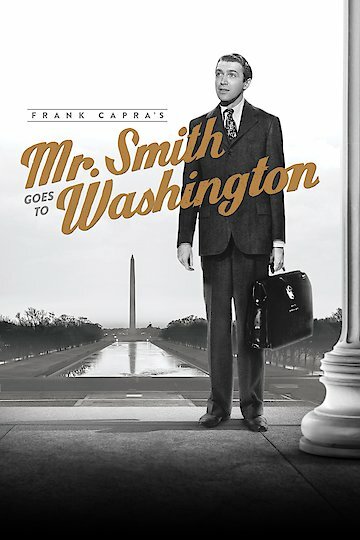 Mr. Smith Goes To Washington is a comedy drama movie that has a strong political theme. The story is about a man named Jefferson Smith, a leader of a Boy's camp, who by chance gets sent to a political office by his state's unfavorable and current senator. His attitude becomes more positive when he is reunited with a former senator that he cherished and worshiped as a child, however things go sour as he learns more about what goes on in Washington. The inexperienced Mr. Smith becomes a victim of many harsh scenarios including a scandal, while some of his colleagues try to run him off. Mr. Smith Goes To Washington is currently available to watch and stream, buy on demand at Amazon, Vudu, Google Play, FandangoNow, iTunes, YouTube VOD online.